Today I am very happy to welcome back to Ex Libris another author whose new release made it to my Top Reads of 2012 list: Please give a warm welcome to Hope Tarr, whose latest contemporary romance Operation Cinderella, enchanted me so much I can't wait to read her special holiday novella A Cinderella Christmas Carol! :-D Join us as we talk holidays, fairy tales and romances with Hope and you could even win a copy of A Cinderella Christmas Carol! 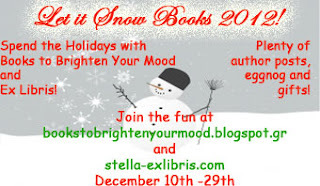 Stella: Hi Hope, welcome to the Let It Snow Books 2012 Event! Hope: Hey, Stella, thrilled to be here! Stella: Let's talk holidays: Is there anything special you usually do for the holidays? Any special family tradition? Hope: My current tradition is to hold an open house on Christmas Day for my friends here in New York who don’t necessarily have their families nearby. We have a blast. Stella: Do you have any favorite holiday themed stories (movies or books)? 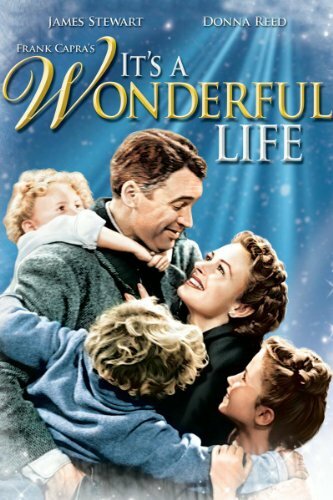 Hope: At the risk of sounding unoriginal, A Christmas Carol and It’s a Wonderful Life are my go-to gold standards. 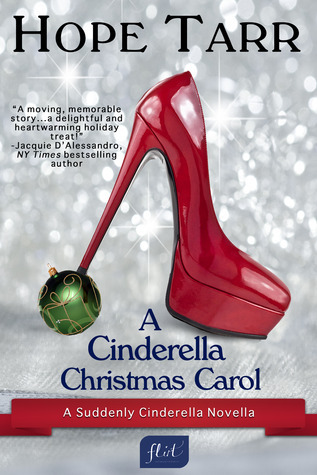 And of course A CINDERELLA CHRISTMAS CAROL is based on the Dickens’ classic. As an aside, I recently visited Senecca Falls, NY. It was a spontaneous stop-over en route home from a friend’s wedding. I’d known of Senecca Falls as the birthplace of the modern women’s movement—the “Declaration of Sentiments” etc.—but I hadn’t realized that it is also the template for Capra’s Bedford Falls in It’s a Wonderful Life. My boyfriend and I had such fun taking the self-guided walking tour based on the film. Stella: Could you share with us your favorite holiday meal/dessert/candy? Hope: I always make a big pan of mac n’ cheese—not traditional fare per se but I suppose it’s become my tradition. Stella: What’s your favorite thing about the holidays? Hope: Getting to spend time with the people—and pets—I love. By the by, Starr’s cat in A CINDERELLA CHRISTMAS CAROL is my real-world rescue girl. Don’t believe me, check out the acknowledgements. Hope: Good advice. “Don’t wait for other people’s permission to live your life.” Not just good advice, but priceless, and given by a dear friend who is keeping company with angels now. Hope: On Thanksgiving evening, my boyfriend and I always walk over to see the decorated store windows of Macy’s. It’s not Christmastime for me until then. 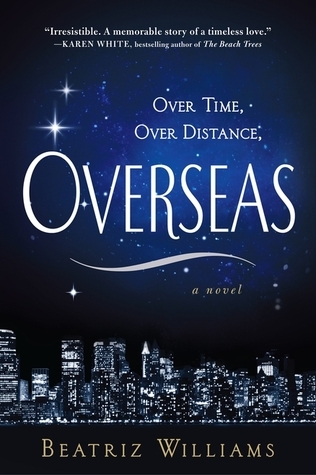 Hope: I adored Beatriz Williams’ OVERSEAS. Who doesn’t love a good time travel novel, especially with characters you can’t help but cheer? Her research of the World War II era is meticulous and her dialogue is sublime. Leanna Renee Hieber’s DARKER STILL is an homage to Wilde’s THE PICTURE OF DORIAN GRAY with several fun, fresh twists, a stylish launch to her Gaslight Era paranormal YA series set in New York. Hope: The pressure to purchase more, more and MORE wears on me after a while. Even though I’m not much of a shopper, still we’re all inundated with Christmas ads, catalogs etc. But merchants count on the winter holidays to make their money, so it’s a necessary evil, I suppose. Hope: More time—there never seems to be sufficient! Hope: Do less, enjoy more. It’s easy to get caught up in rushing from event-to-event and, in the case of writing, living from deadline to deadline. Stella: It's just a bet but with your new Suddenly Cinderella series out it might be a given that your favorite fairy tale is Cinderella, am I right? What is it about this particular tale you love? I love the Cinderella fairytale for many reasons but mostly I love how the heroine transforms herself from victim to victor. I say “transforms herself” on purpose. Sure, she has the help of a magic wand wielding fairy godmother, and yet really it all comes down not to magic but to choice. She could choose to play it safe and stay at home—a lot of us would. Instead she chooses to accept the challenge, to walk into the glittering, spectacular, scary larger world that the ball represents. Solo. 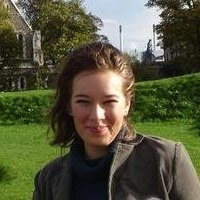 Stella: What inspired the series and to write 4 stories around the same tale/trope? Didn't you want to explore a different fairy tale with each one of the stories, or this didn't occur to you? Stella: And now you not only write a Cinderella story (which btw is also my favourite fairy tale ;-) but combine it with Christmas (my favourite holiday/time of the year) in A CINDERELLA CHRISTMAS CAROL! How did the idea come to make one of the Suddenly Cinderella stories into a holiday story as well? Hope: Like a lot of writers, I can get pretty…attached to my characters. As an author, I have an unofficial but implicit policy—no character left behind! Cynthia Starrling—Starr—Macie’s curmudgeon managing editor from OPERATION CINDERELLA, isn’t in the best place at the close of that book. She’s a work-a-holic, she has somewhere between one and zero friends, and she’s sworn off both Christmas and Happily Ever After—and btw, Christmas is also her birthday. She’s a perfect Scrooge! I had loads o’ fun exploring how she came to be that way? Not even Dickens’ Scrooge started out as bitter and grumpy. No, Starr would have to be redeemed, and a big part of her redemption is opening herself up to love. What better time for transformation than Christmas? On that note, Stella, thank you so much for hosting me here again—what an honor! To you and all the romance readers and bloggers who may be stopping by, here’s wishing you a winter holiday season brimming with mistletoe moments—and fairytale dreams come true. Hope Tarr is the award-winning author of twenty historical and contemporary romance novels including A CINDERELLA CHRISTMAS CAROL, the second installment of her Suddenly Cinderella Series with Entangled Publishing, available for Kindle and Nook for 99 cents. Hope is also a co-founder and current principal of Lady Jane’s Salon™, New York City’s first and so far only monthly romance fiction reading series now with satellites in four other U.S. cities. Hope has generously offered an ebook copy of A Cinderella Christmas Carol to a lucky commenter!